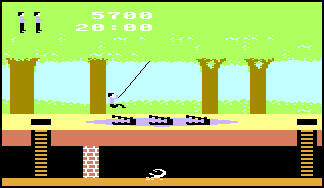 Pitfall has you playing the hero, Harry, as you navigate your way through multiple levels, dodging alligators, snakes, rolling logs, and even scorpions. You have 20 minutes to collect all the goodies or you lose. I lost. I lost a lot!